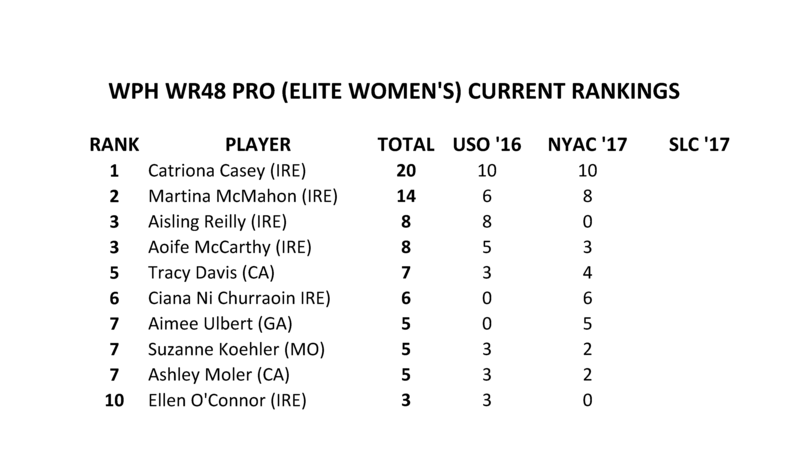 Tucson, AZ, WPH Press, 4/1/17- The Men’s R48 Pro and the WR48 wrapped up their respective regular season schedule at the Race 4 Eight 6 NYAC, with major player ranking position changes taking place on both tours. 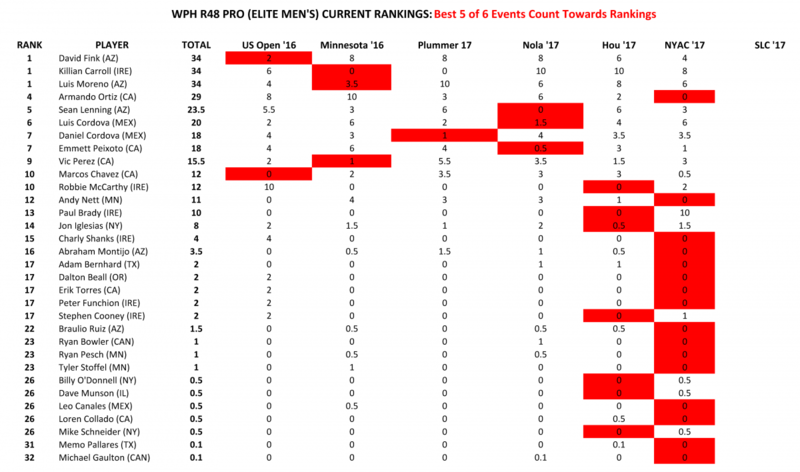 The WPH Race 4 Eight Power rankings count the player’s best five of six events entering the Aces Player’s Championship and are used to invite the top eight men, top four women & senior 40+ pros. 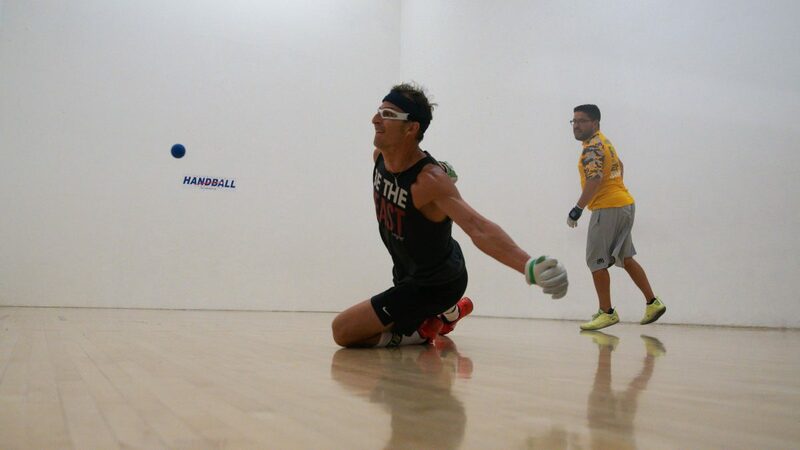 After the final regular season stop, the Power Rankings merge into the Race Points for the year, as the best five of seven results count toward the player’s final ranking after The Aces Player’s Championship in Salt Lake City April 21-23, 2017. WPH has used the same system to rank players since starting the tour, eight years back. All details and descriptions are posted in the Player’s Code of Conduct. That document was uploaded in August of 2016; two months before the current tour kicked off (Oct’16). The Code & WPH Rules are all agreed on by those accepting invites at each WPH tour stop. 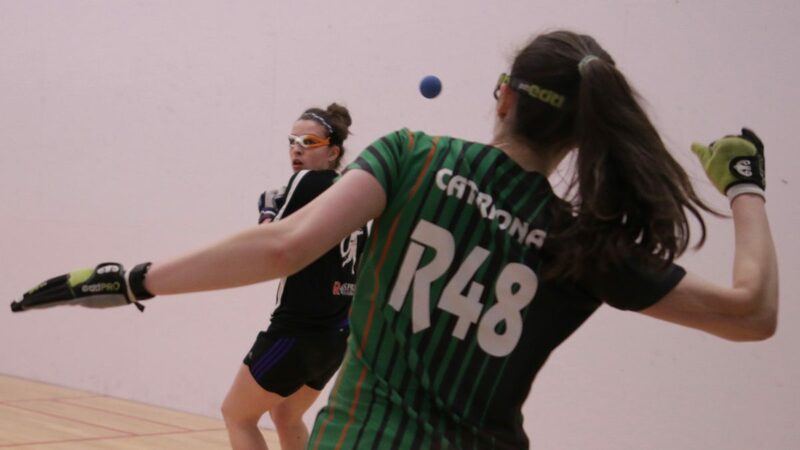 David Fink joined David Chapman, Sean Lenning, Luis Moreno, Charly Shanks, Paul Brady, Mando Ortiz, and Killian Carroll as the only players to be ranked #1 on the R48 Men’s Pro, while Catriona Casey swept the WR48 NYAC ’17 in dominant fashion to retain her WR48 #1 ranking. Luis Cordova reached his highest career R48 ranking of #6 with his second R48 semifinal appearance of the season, climbing ahead of his younger brother Daniel for the first time in more than two years. 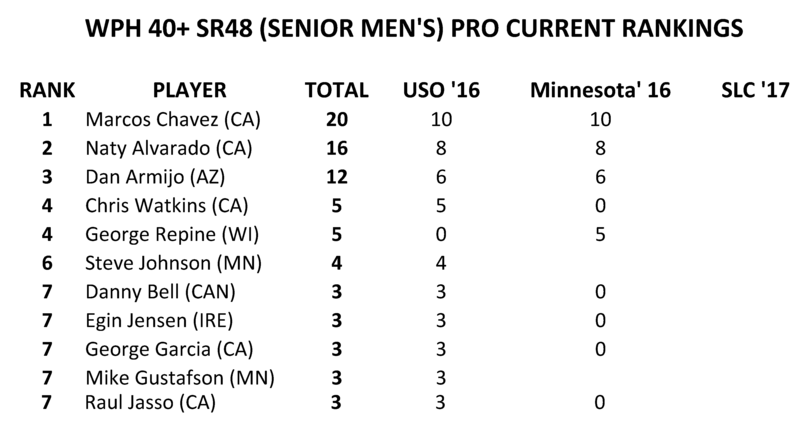 The R48 Men’s Pro #1 ranking will be up for grabs for the third consecutive stop at Salt Lake City’s Player’s Championship April 21-23, with Killian Carroll, Luis Moreno, and David Fink vying for the season-ending top spot.